Thoughts: I want to say, “buy it and love it.” That’s how I personally feel, but I’m aware of one major problem—- you may have never read Nietzsche. If you haven’t, I wouldn’t start here. If you’ve only read bits and pieces of his work and don’t really understand his points, I wouldn’t start here either. 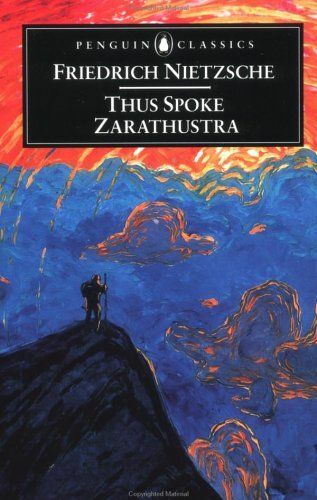 I know some say this is a great introduction to Nietzsche, but if you don’t have a firm grasp on his work, you will miss out on so much of this book. That said, if you feel like you have a firm grip on Nietszche’s basic philosophy, then you must read this! You may still have a hard time understanding it and it’s a tough read in general, but your effort will pay off. It’s hilarious, insanely puzzling, thought provoking, and full of that good ol’ youthful angst.